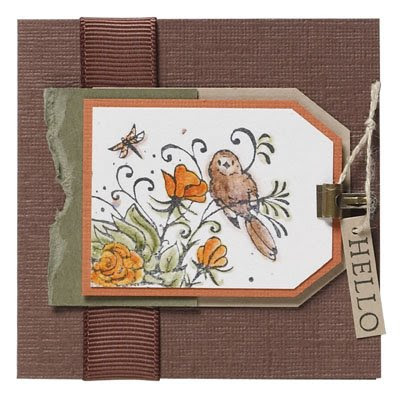 Share a happy hello and show off your love of textured cardstock! See how a simple corner of a stamp set with a little bird can give you a design to which you can add your own colour and personality — making the card your own. Tomorrow I'll be sharing the cards we'll be making on Friday for the "Bright Delights" class... stay tuned! I lloked at the image and thought..."what?" What an awesome way to use this stamp!